Alex and Conner are doing their best to get by. Having recently lost their father to an accident, the twins live with their overworked mother in a small rental home and rely on one another for comfort. Alex is an overachiever, the teacher’s pet and the logical one of the two, whereas Conner is the comedian, and the more impulsive twin. Both children hold memories of their father close and look upon his stories when they need comfort. On their twelfth birthday, their grandmother comes to visit and brings her very old, very special storybook for them as a present. This book opens up a different world for the children in which the fairy tale characters they grew up reading about are real. The only problem here is that, not only are the heroes and princesses real, but also the Evil Queen and big bad wolves are real as well. 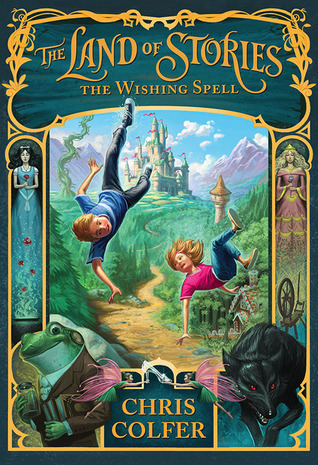 These well known villains are on a hunt to find items for a wishing spell; the same items that the twins are hunting in order to wish themselves back home to their mother. Through this quest the twins meet a very pregnant Cinderella, a very vain Red Riding Hood, a few Kings Charming, and a host of other well known fantastical characters. Anyone who knows me know that I love a good retelling and apparently the publisher was describing this one as “The Chronicles of Narnia meets Shrek.” Besides the falling through a wardrobe book to a fairy tale land, this book is nothing like Narnia. It would be easy to compare this to the numerous retellings out there today and I’ll admit that as I was reading I was thinking of the ways the book reminded me of Once Upon a Time, The 10th Kingdom, and yes, Shrek. However, while Chris Colfer was reminding me of all of the things I love about these former retellings, he was also showing me something different. New sides of old characters, surprisingly romantic interludes and a new kickass heroine. I’ll be honest, I was wary going into this story. I know many of you had the same thought in your mind when you saw that the author of this novel was a well-known tv actor. To be quite honest, had I not received an ARC of this novel I might not have picked it up for a number of reasons. But let me tell you something, I am so glad that I did. I am beyond thrilled with this story and really rather impressed at Mr. Chris Colfer. Bravo, Kurt! Take that NYADA! “Grazing around a perfect little stream ahead of them, to their amazement, was a herd of unicorns. They were beautiful: white with silver horns, silver hooves, and silver manes. ‘I want to pet one!’ Alex said, and ran toward them. ‘Unicorns don’t have rabies, Conner!’ Alex said. You don’t know where those horns have been!’ Conner called out. This story was far from perfect but there were parts that made me laugh out loud, parts that made me a little misty eyed and parts that made me marvel at the level of angst, love and devotion in a middle grade novel. I highly recommend it to readers of all ages. This entry was posted in Middle-Grade, Reviews and tagged fairy tales, fantasy, magic, mermaids, princesses, retellings, unicorns. Bookmark the permalink. Oh yay! I’m so happy to read this review and see that despite your worries it came out as a success. I’ve really only heard good things about it so far, and will certainly be reading it myself soon! This actually sounds a lot like Storybound to me, only hopefully I’ll click with this one better. I did think of you upon finishing because there were definitely elements that reminded me of Storybound but it’s completely different. I really only had a hard time with the dialogue, it was a bit juvenile and forced at times but not enough to bother me. I think you’ll enjoy it. One thing though, it is LONG for an MG. Cripes it took me days! Ok, you sold me when you said that you could visualize the sparklies. 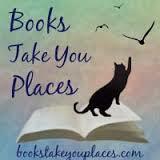 I LOOOVE a book where I can see it in my head. Plus, middle grade foreva. I was already curious about this one but I haven’t read anything about it yet. Bummer about the map. But you kind of rock for making a home remedy of that little problem! Excited for this one, especially with a cool cover like that one. It LOOKS whimsical.